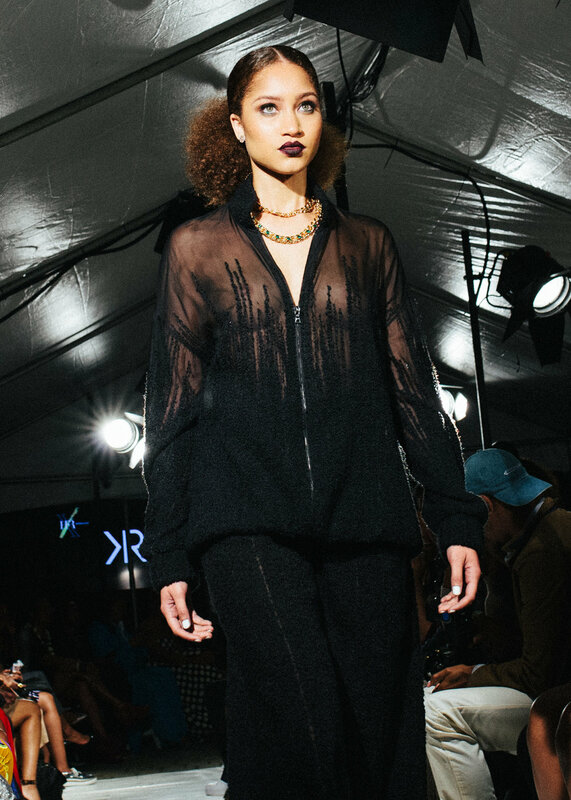 On Wednesday September 6th, HARLEM'S FASHION ROW celebrated 10 years of relentless work with their 2017 Fashion show at La Marina NYC. 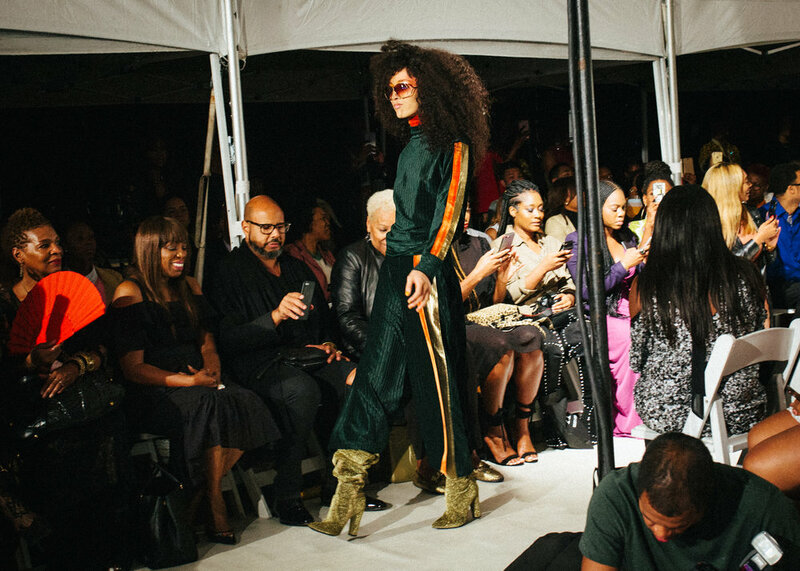 To kick off the 10th anniversary, Harlem’s Fashion Row partnered with Essence Magazine honoring fashion trailblazers and HFR’s alumni designers. 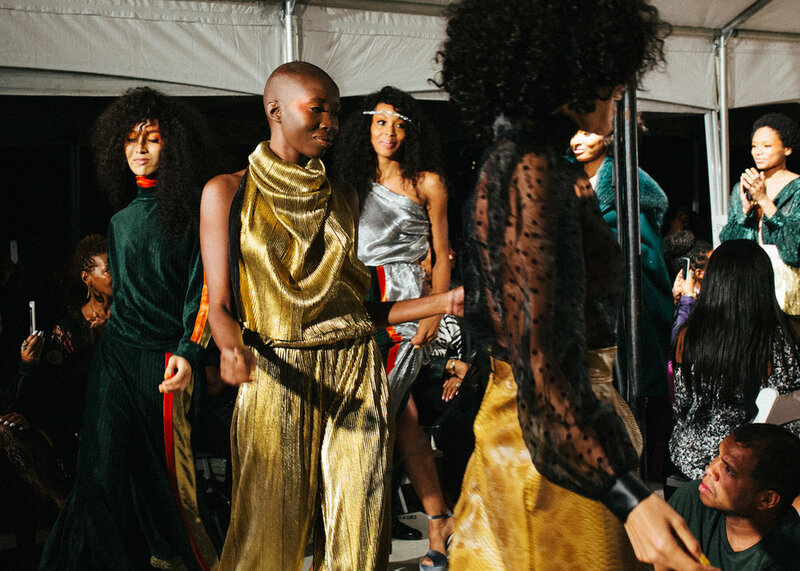 Harlem's Fashion Row is the most prestigious platform for multicultural fashion designers and has become the epicenter of fashion for the multicultural audience! 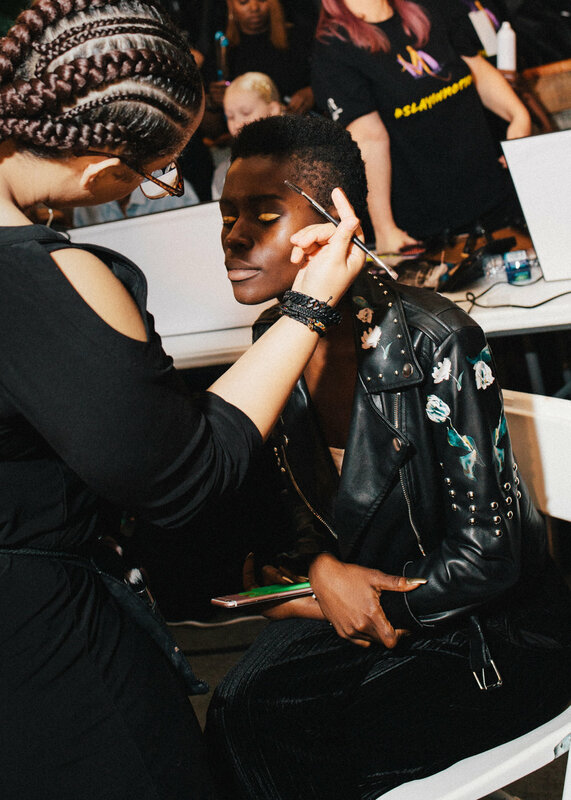 MelaninASS took an exclusive behind the scenes look just hours before the show during the madness of hair and makeup. 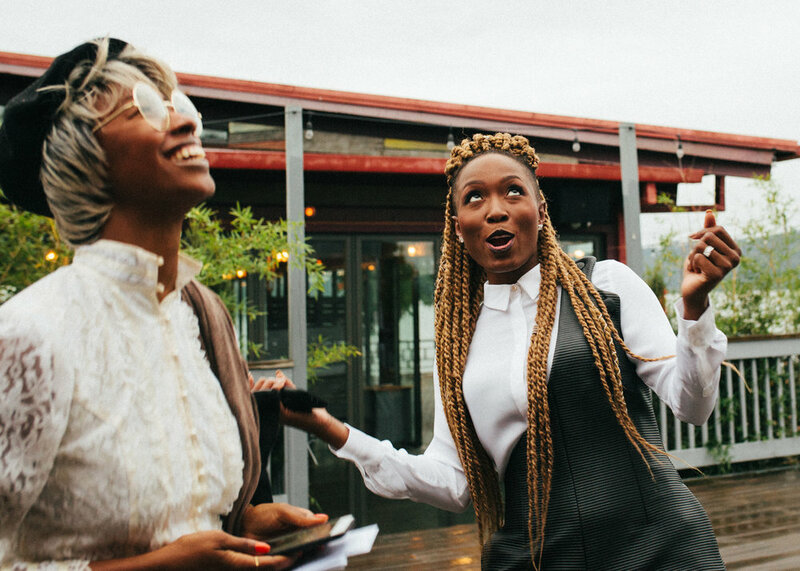 It was nothing of breathtaking and extremely refreshing to see so many beautiful women of color working together. "All of the treasure is in perseverance. Don't stop. Don't give up. The things that are happening to me right now, I wanted to happen 5 years ago but it wasn't my time then. I wasn't ready - I didn't have the character for it ... I just wanna thank all of you for being hear ... for supporting HFR, supporting the designers. For writing about the designer. I love that your write about HFW, but I want you to cover the designers. I want you to wear the designers. I want you to pull from the designers. Consider them for editorial shoots. Consider them for your celebrity clients. They need you! And I'm only here for them! That's the only thing that's kept me here for 10 years is them. 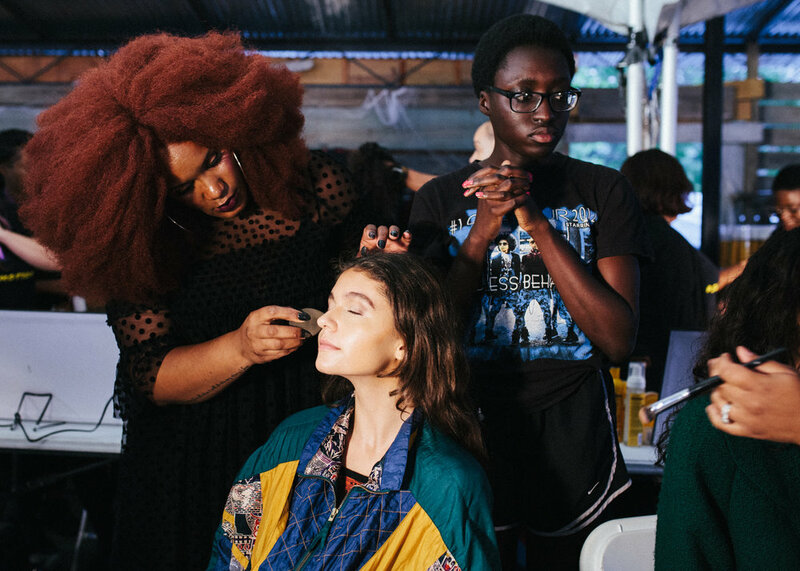 People of color have played such an amazing role in this industry outside of designers. We have amazing editors, and stylist and film makers who have shaped fashion and style in our industry who have opened the door for costume designers. We have people who started new media companies who changed what we even thought media would look like. In addition a fashion show, I wanted to acknowledge who are blazing trails, the people who inspire all of us, and whose journey keep encouraging me personally." 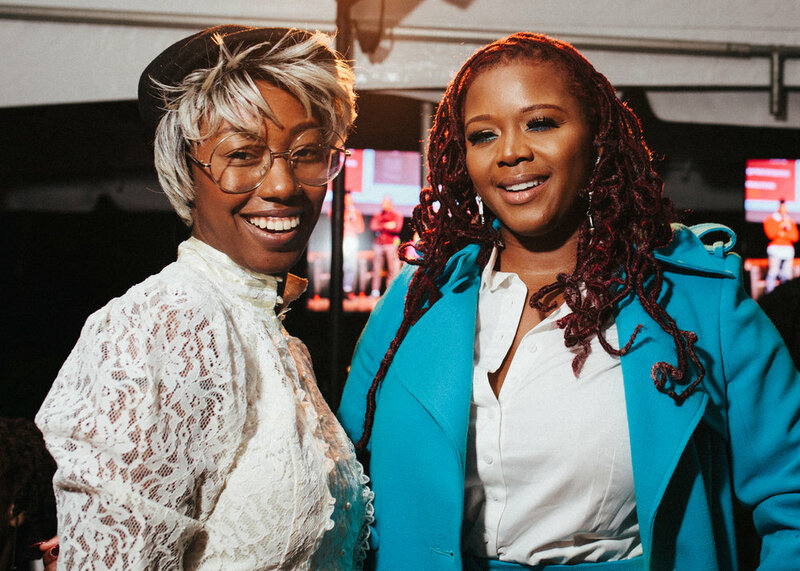 Fashion Bomb Daily's CLAIR SULMERS was awarded with the "New Media Award" - A platform for Black and Latina Style lovers whose contributions include Vogue Italia with a following above 1 million. 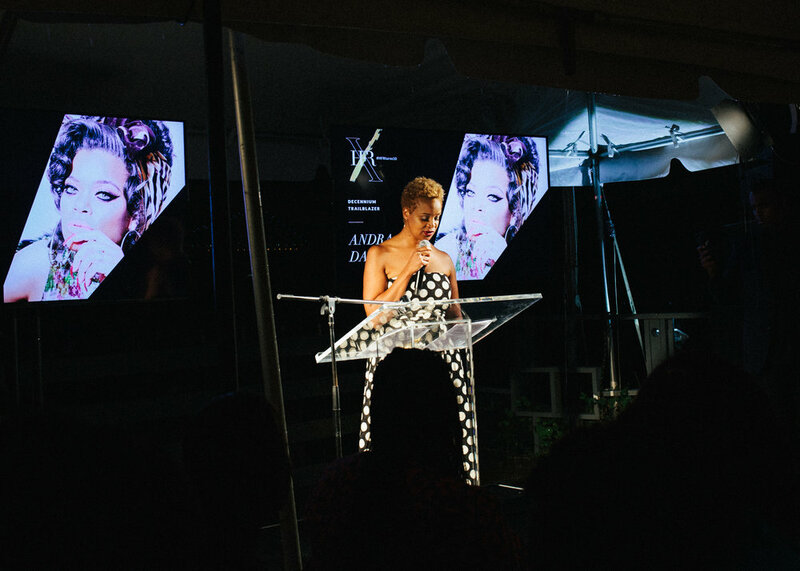 Although she was unable to join us, recording Artist ANDRA DAY received the Decennium Trailblazer Award recipient. 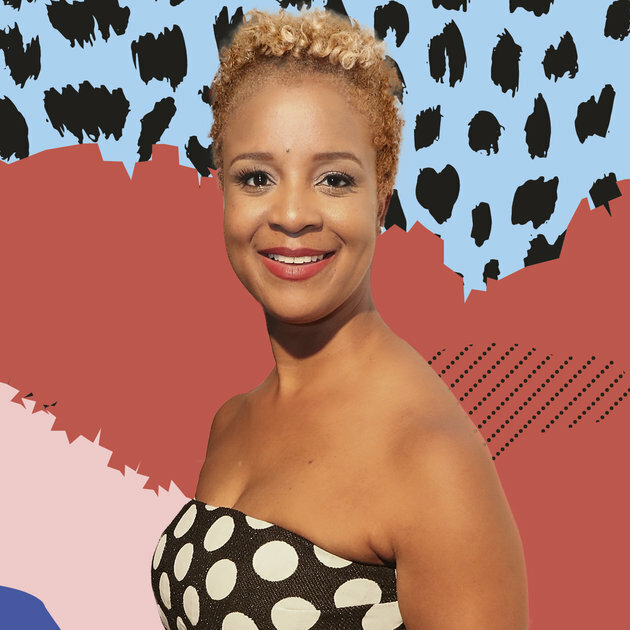 Chioma Nnadi is the Fashion News Director of Vogue.com and she received the "Editor of the Year Award." Nnadi has been a huge catalyst in pushing visibility for women of color in the world's most prestigious and recognized publication globally. 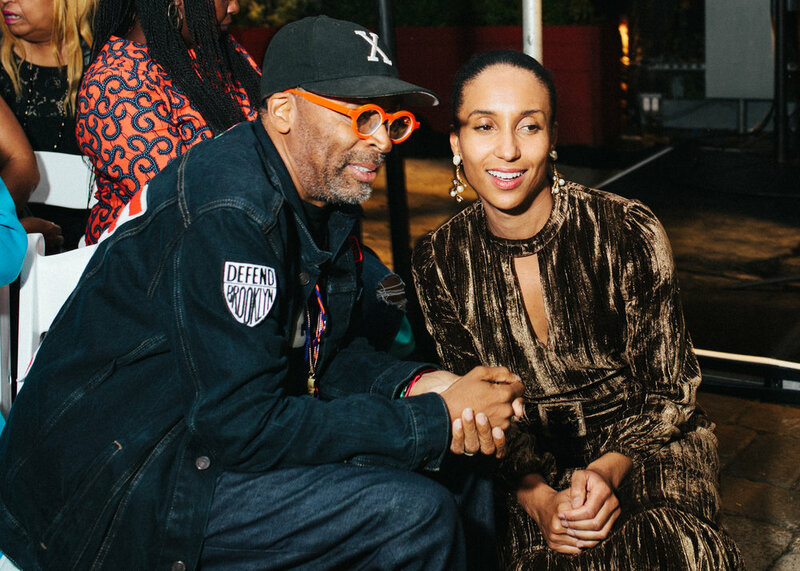 The final honoree, was film mogul Spike Lee who received the "Icon 360 Award". 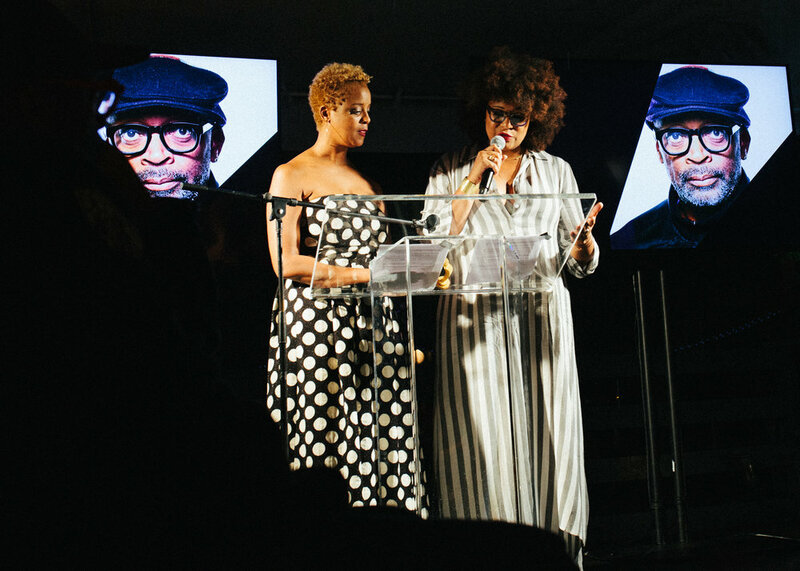 "Our last honoree is inspiring to me personally because he inspired my journey is so many ways", said Brandice just before handing the mic to Julee Wilson - Fashion and Beauty Director of Essence Magazine. Honoring trailblazers was a great introduction to the runway presentation. 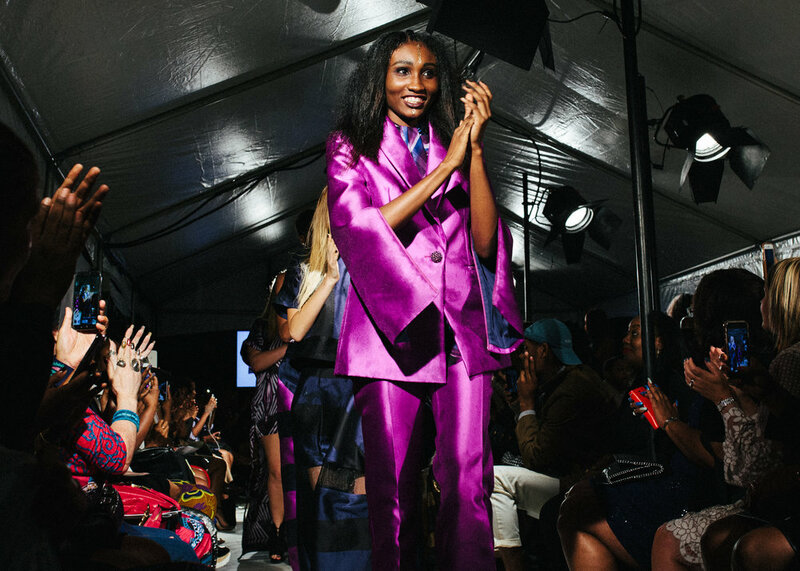 It provided a platform of substance and inspiration for the audience to chew on just before getting to the runway presentation. 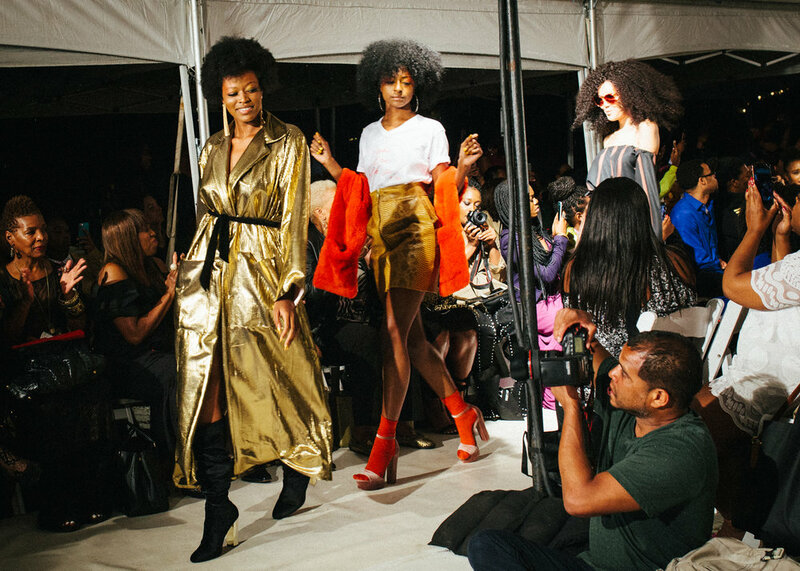 The electrifying fashion show presented 4 groundbreaking alumni designers Kimberly Goldson, Fe Noel, K.Rashae, Undra Celeste NY. Designer Fe Noel is known for highlighting a woman’s curves. “Curves are a beautiful thing that should celebrated,” says Fe Noel. Her funkadelic presentation took us back to the 70's when curves and afros were greatly appreciated! Designer Undra Celeste was fun, flirty and bold. 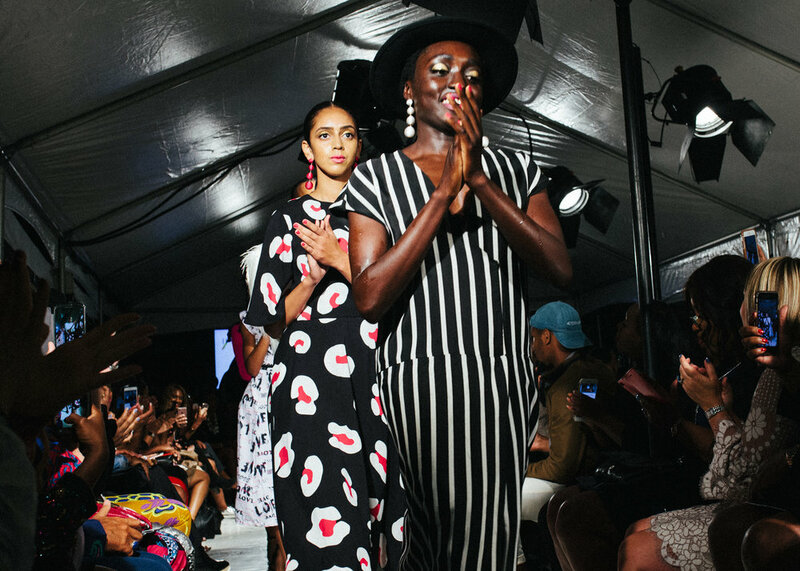 With up-beat and vibrant Indian-inspired music, designer Kimberly Goldson took a cultural spin on contemporary style. And last but not least - designer K. Rashae's black and white tuxedo-inspired collection stole our hearts! With a minimalist yet fiercely accented aesthetic, her attention to detail and craftsmanship was unwavering. OVERALL, the 10 year anniversary personified style, beauty and bold activism!